Thank you for visiting our website and we hope that you will visit Sarti Plaza, in Sarti, 120 km from Thessaloniki, at the end of the second peninsula of Halkidiki, in Sithonia. The hotel first opened in June 2007, is situated 100 m from the beach and follows the family tourist business Corali Hotel which first opened in 1985. 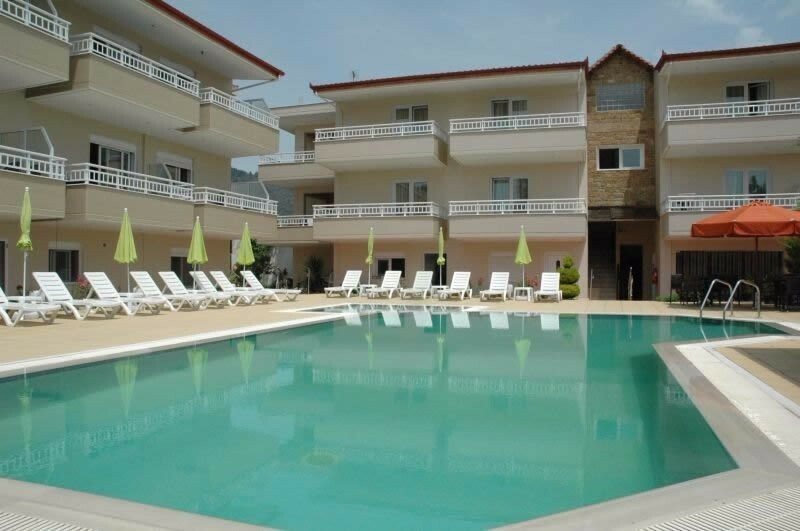 SARTI PLAZA has 12 double rooms, 3 triple, 2 family rooms and 2 royal suites. All rooms are fully equipped with TV, bathroom, balcony, ADSL internet access and have limitless view towards the sea and Mount Athos. Breakfast is served in the hotel and there is also a pool and pool bar for your entertainment as well as there is parking available. The hotel is open throughout the whole year. The pool for adults and children, the pool bar and parking are only a few of the excellent level of services Sarti Plaza offers. More than 20 rooms and suites await you to enjoy unforgettable vacations. All accommodation places are fully equiped with, TV, satellite TV, air-condition, Internet connection. Suites can accommodate 4 or 5 persons and each has a balcony with view to the beach. 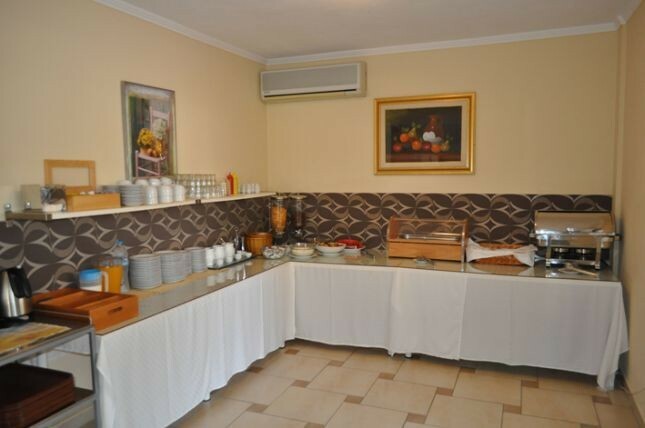 Between 8:00 and 10:30 you can make use of our rich and varied breakfast buffet. In addition to traditional Greek yogurt with honey or jam there are different types of bread, and various cheeses. The breakfast eggs are not missing. Just as cereal, milk, coffee, tea and orange juice.